With the SIHH at our doors, we patiently -or impatiently!- await new watch models, movements and time-related creations. 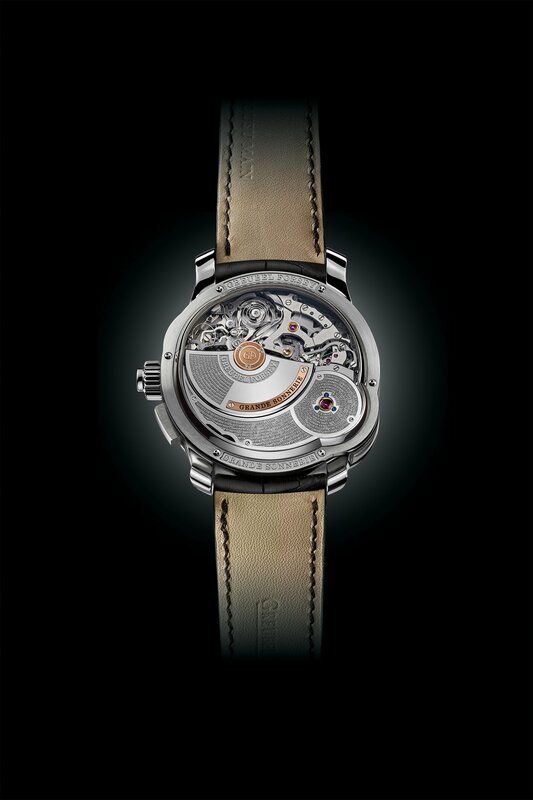 And here are Greubel Forsey, finally revealing, after eleven years of research and development, the Grande Sonnerie, one of the greatest watchmaking complications seen so far. Since they first partnered up over a decade ago, Greubel and Forsey’s daily and healthy obsession has been creating a contemporary interpretation of the grande sonnerie complication. They worked in utmost secrecy for eleven years to perfect their timepiece and find the perfect harmony between the movement, exterior and acoustics that produce an extremely pure sound. Their daunting task resulted in the assembly of the 935 parts that make up the watch, the filing of two patents and the incorporation of eleven security functions ensuring maximum peace of mind, an ergonomic design maximizing ease of use, and an exceptional repeater power reserve enabling it to run for about twenty hours in “Grande Sonnerie” mode thanks to its mechanism’s self-winding system. The timepiece is equipped with a silent striking regulator and a Tourbillon 24 Secondes, which, along with the most important elements and indications -tourbillon, cathedral gongs, striking hammers, power reserve and mode indicators- are housed in a 43.5mm, 16.13mm high case. To every complications connoisseur’s satisfaction, the minute repeater and its additional striking mechanism sounds the exact time on demand, down to the minute, with three modes to choose from: Grande Sonnerie, striking the hours and the quarters in passing; Petite Sonnerie that strikes the full hours in passing, and Silence, which, as its name indicates, does not strike in passing! The Grande Sonnerie is most definitely Greubel Forsey’s most complex creation to date, and one to be proud of, especially for such a young brand who is now part of the very exclusive and limited circle of watchmakers offering a Grande Sonnerie. The timepiece will only be manufactured in five to eight pieces a year. Next Post Pinging SIHH 2017 – See, hear and live it all!